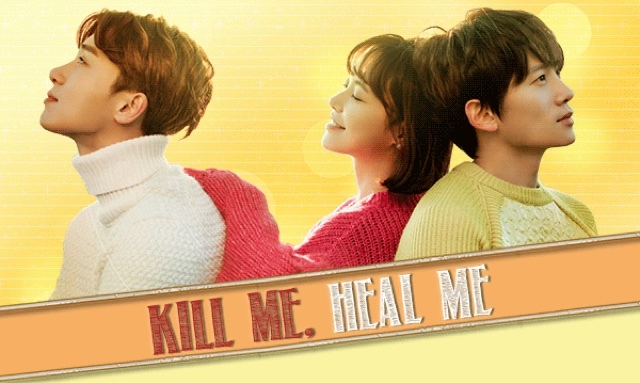 Kill me, heal me is a romantic comedy about a third-generation billionaire with Disassociate Identity Disorder. He tries to regain control over his life with the help of Oh Ri Jin (Hwang Jung Eum), a first-year psychiatric resident who treats him secretly. After a traumatic experience in his childhood, Cha Do Hyun (Ji Sung) suffers memory lapses and his personality then fractured into seven different identities. Oh Ri Jin’s twin brother, Oh Ri Oh (Park Seo Joon), is a famous mystery novelist who investigates about Do Hyun and his family. - Taken from drama wiki. Ji Sung is a popular Korean actor and he is also well known as the husband of actress Lee Bo Young. However, I do not know much about the other cast members. I was not really that interested in this show initially because of the weird title. Eventually, i decided to watch this popular drama after reading some positive comments about Ji Sung. All I can say is that this award winning drama is definitely worth your time to watch! Kill me, heal is an intriguing drama that has some suspense and thrilling factors. There is a nice twist in the middle of the story which came as a surprise to me. That is when I thought what a solid and interesting script! Everything we see or thought does not means that it is true. Despite the melodrama and the occasional mind blowing events, watching this drama is never boring as we go deeper into finding out the truth behind the tragedy. In my opinion, this drama has blended in many elements. There were some hilarious, romantic, emotional and mystery moment finely crafted within the drama for the viewers to enjoy. Kudos to the scriptwriter and the director for their great sense of storytelling and directing. The main characters, Ji Sung and Hwang Jung Eun were extremely good at expressing their emotions. At the same time, they both possess good comedic timing too. Ji Sung is a talented actor and I am really amazed at his fine skills in portraying a person with multiple personalities disorder. I believe he had worked very hard and i admire the dynamic range in his acting. It is extremely difficult to portray seven personalities in a drama and I am glad that Lee Seungi did not accept this role. Although I like Lee Seungi, it requires a lot of experience in the acting field to be able to distinguish and portray seven different personalities. I am glad that Ji Sung is more recognised for his acting skills and at the same time, consolidate his status as a fine actor. This is really one of his best work so far andJi Sung look so handsome and charismatic in this drama. On the other hand, Hwang Jung Eun has a likable character in this drama as Oh Ri Jin. I love the way she acted as the heroine with such a pure and innocent character. She look hilarious whenever she make those over-the-top expression. However, her shrieking voice can be quite annoying. However, I admire her lovable and cheerful personality. Her chemistry with Ji Sung is marvellous and I do expect that level of chemistry since they acted together in the previous drama - Secret which happens to be a good drama too. Another pleasant surprise in this drama is Park Seo Joon. His character in the drama is kind of mysterious and interesting. Although he can be a little weird, I like his oddball personality and funny expressions. I have never regret watching this show and would highly recommend those who have not watch this drama. It is my favorite Korean drama of all times and it will always be one of my favourite Korean drama. This song is sang by Jang Jae In (feat. Nashow). I love the contrast in the rap and Jang Jae In soulful voice. It fit the drama so well and leaves such a deep impression on me. Nashow rapping is filled with angst and Jang Jae In voice seem to be in another dimension. It's psychologically captivating to the extend of me playing the song over and over again.